1. 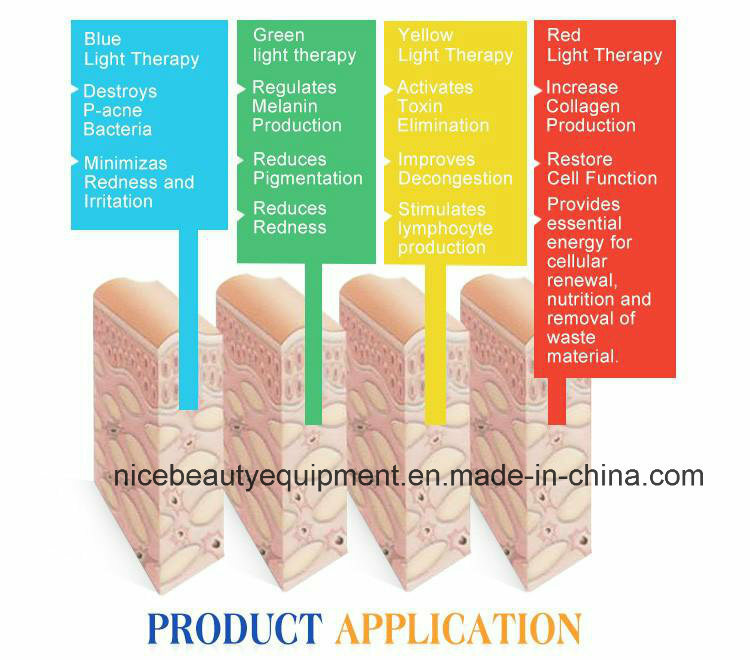 7 kinds of colorful light, entirely solve all of the face pigmentation, inflammation. 2. Specially equipped with 2 laser pens.Point to point treatment. 3. Recover skin glory, relieve skin. Â Promotes metabolism, accelerate blood circulation,improves skin moisture, increase skin collagen protein, intensifies skin elasticity and smooth fine wrinkles. 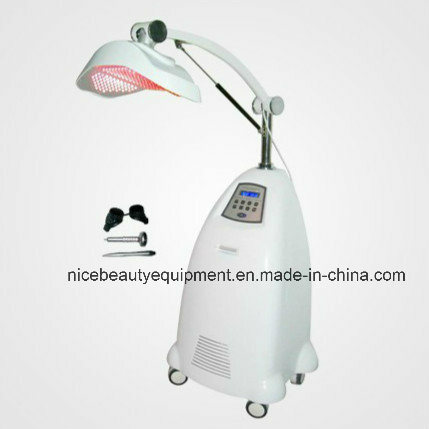 Blue Light415nm Bacteria killing,skin cleaning,cell activation,injury recovery,promoting protein-ossein composition. 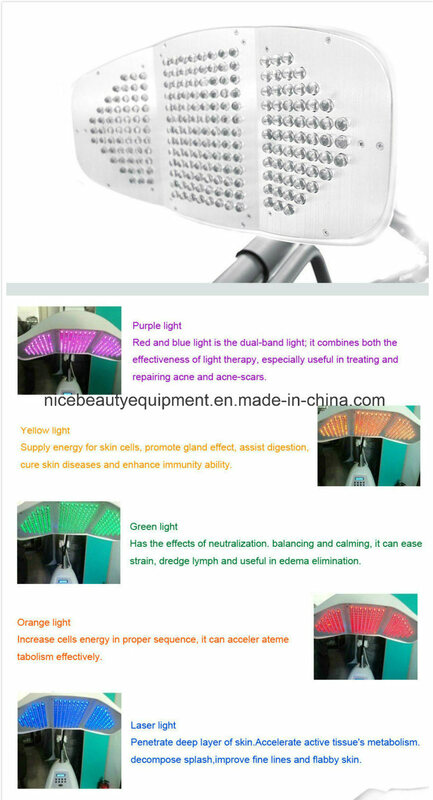 Purple Light Red and blue light is the dual-band light;it combines both the effectiveness of light the rapy,especially useful in treating and repairing acne acne-scars. Green LightÂ 525 nm Effective reduction of meianin cell,decreased pigment formation,adjustment of skin gland function,adjustment of skin gland function,reduction of grease gland excitation..
Yellow LightÂ 590 nm Improving cell's oxygen alternation function,promoting micro circulation,decomposing pigment,promoting lymph discharge,curing skin roughness,red spots and deficient circulations. Laser Light Penetrate deep layer of skin, Accelerate active tissue's metabolism,decompose splash, improve fine lines and flabby. 2. Improvement: Coarse pore, flabby skin, thin wrinkle, gray complexion, facial nerve anaesthesia etc. 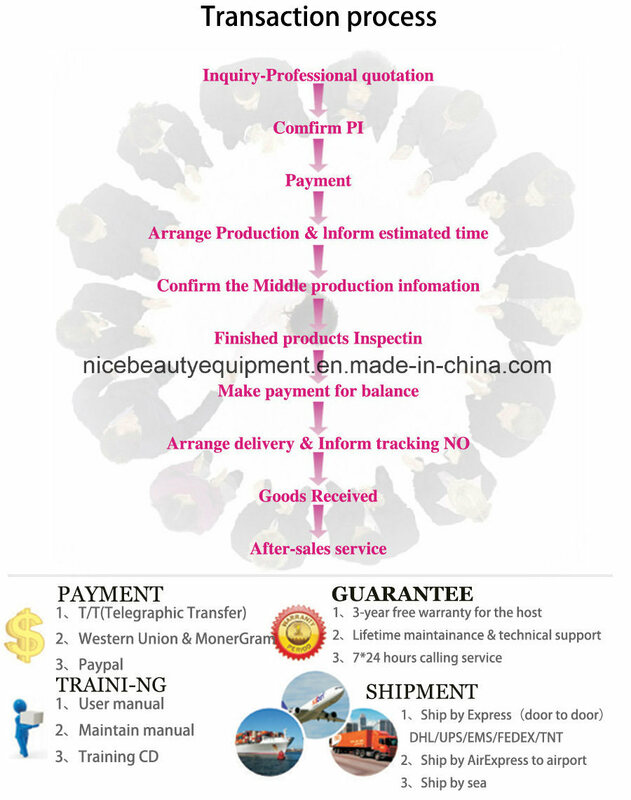 1.Micro applicator with new flocking technology,100% make sure no fluff loss during use, transport and shipment .Four different sizes with various colors are also popular used in Beauty field. 2.Disposable 4 slot and 2 slot mixing wells,plays a necessary part during use of Micro applicators and bendabe brush,accurate mixing is the key of each treatment.